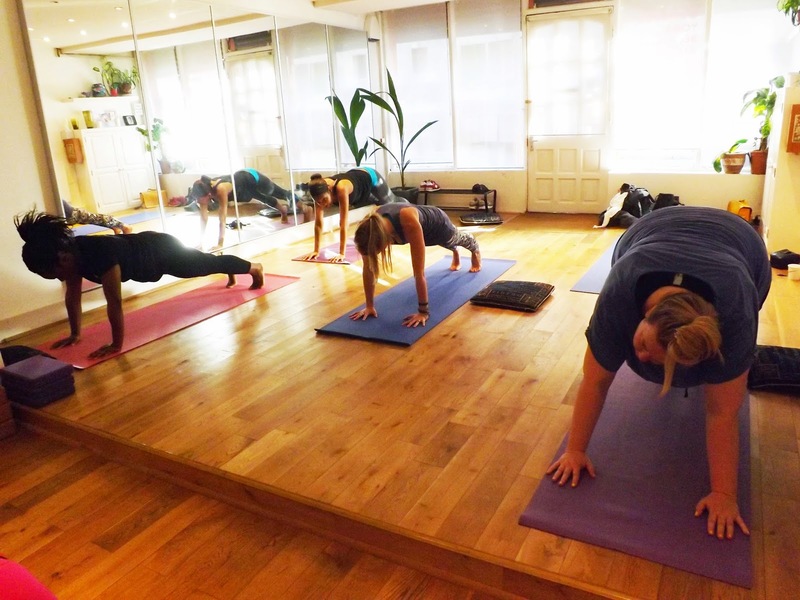 Last week, I headed down to Bethnal Green and attended a blogger yoga day hosted by East London Community Wellbeing (ELCW). Over the last few weeks, I've really been connecting with yoga on a physical and mental level, so when the opportunity came up, I was all over it. 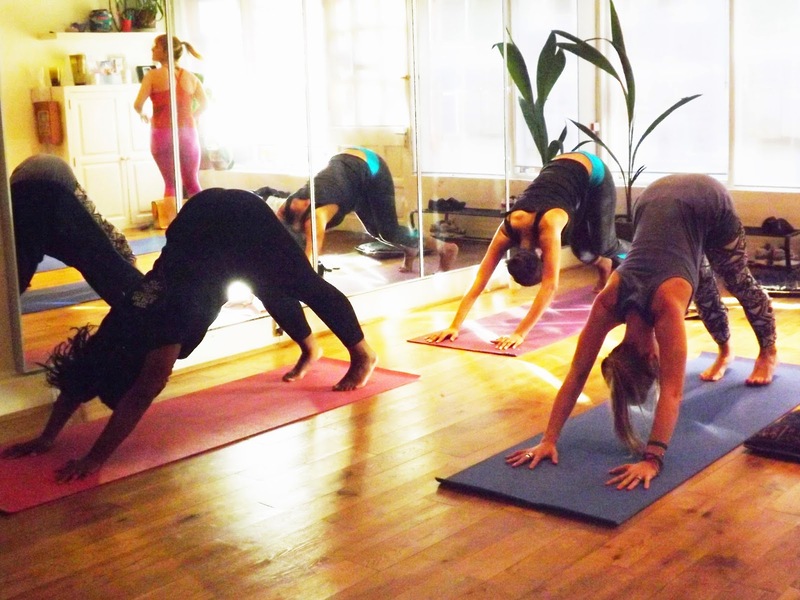 ELCW is a social enterprise of St. Margaret's House that provides low-cost yoga, fitness and dance classes for the local community. Set up in 1889, St. Margaret's House is an independent community charity and there's loads going on under the umbrella including The Yoga Nest, a charity clothing shop and arts space, The Create Place. We were led through a 60-minute Vinyasa Flow class by our teacher, Holly. I'm glad that was the discipline taught as I've previously practised it and had half a clue what I was doing. However, if Vinyasa doesn't get you Flowin' (see what I did there? 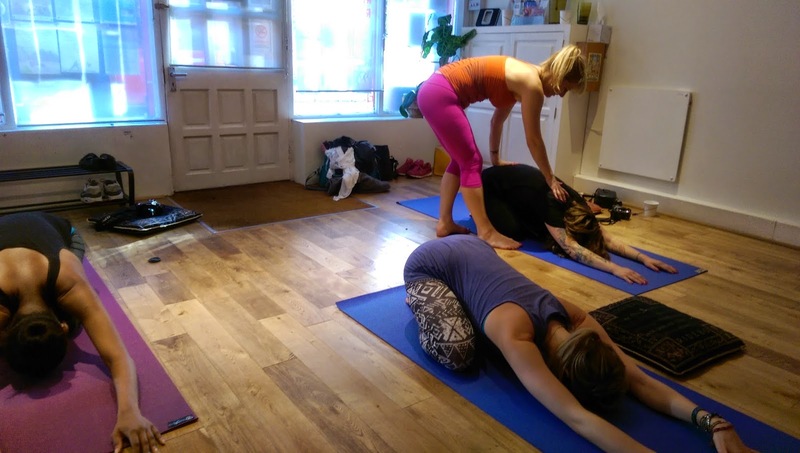 ), there are plenty of other classes on offer - Ashtanga, Hatha, Mum & Baby and Yoga for Cyclists to name a few. I loved Holly's teaching style and really vibed with it. It's interesting how you can have a completely different experience depending on who's leading the class. Once feeling all zenned out we had some treats from group's on-site eatery, The Gallery Cafe. It was great to just sit and chat with Sade, Che and Sarah. It was my first time eating vegan food and let me tell you, it was delicious. I pretty much consumed the entire bowl of hummus on my own. I also had both varieties of cake on offer (because I'm greedy like that). Hey vegan food? You were surprisingly delectable. Definitely heading back there for a coffee. And more cake. I had a great time and thought the idea of using arts and health interests to engage and support the local community. Located on my route home, there's nothing that can or will stop me heading back for one of Holly's classes (and coffee and cake, obvs). Thank you to the team at St. Margaret's House for having me. You can follow East London Community Wellbeing on Twitter by clicking here or find out more about the group below.